What is "today's media event"? Is it going to be big? Maybe a trailer? the press got a demonstration. youll be seeing the previews come out at some point soon. Maybe more Nico gameplay will be shown after the interview tour is complete? Not expecting any major news for DOA6 since there is not much left to reveal. Diego has a nice intro line against the ninjas. Looks like a repeat of DOA5 where the mouths barely move when characters talk. Maybe with the delay TN can announce a physical deluxe edition. Didn't someone say TN had one planned? None of the physical versions include both Phase and Nyo. I hope they keep giving us those twitter clips. Master says they will keep coming. Maybe the wall splat hold can be changed like how the sidestep attack issue was changed when it was revealed? I don't know what you DOA people did to make TN change the SS, but please do it again so this wall splat hold gets changed. Hopefully if the demo also has a beta portion maybe they'll be taking feedback and they'll change the wall game up a bit? It's getting close to release but still no physical deluxe? If it is coming, it will be the first time I see a game announce one so close to release. Seems weird. That Hayabusa combo was exciting to see. I can't wait to see what Phase 4 and Nyotengu can do. TN should release a combo trailer. Hmm, Honoka uses the same red energy as Raidou and they were both in 5. Nico uses electricity and Genra shoots electricity... It's confirmed. Genra is in and will cut down Raidou. (cont.) It would also give some clarity to why Raidou suddenly came back to the Mugen Tenshin village after being exiled just to steal the Torn Sky Blast technique, rather than just take over the village by force. Why was Raidou added to DOA5LR? 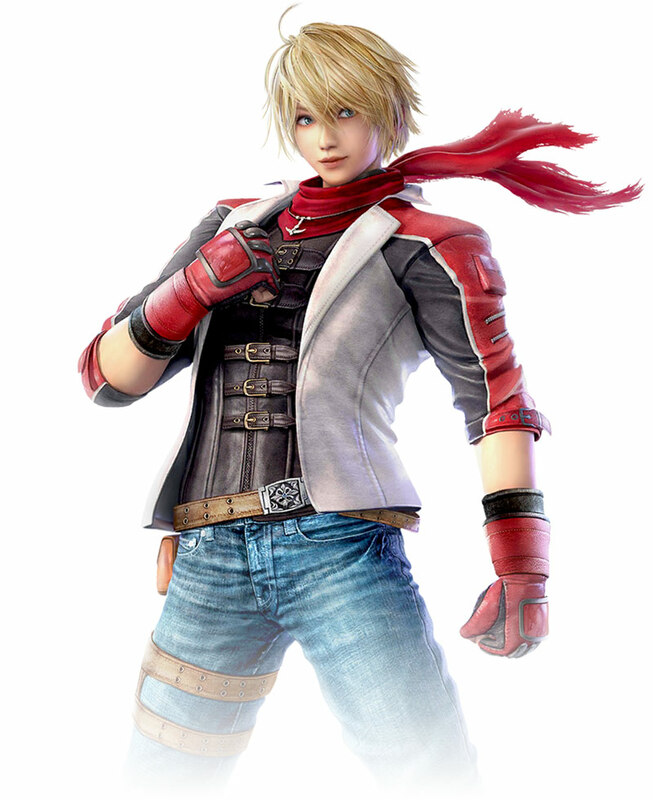 Did people want him in or was it to prepare for DOA6's story? ^It's like when ppl beg for Zafina to make a return to T7 when we all know that these same ppl will never play that character, with her 17 stances and complicated and unorthodox move set. @Camel with 2 thumbs: Speak for yourself. 2D grapplers will always strike more fear into my heart than 3D grapplers. The tools they have are crazy. Yeah, characters like King or Astaroth can definitely be trouble if you don't play the match-up properly. Eliot Lv 1: Slapped by Ayane. Eliot Lv 50: Blocks Ayane's slap and she hurts her hand. Lv 100: Block's Ayane's slap, Ayane crashes into danger zone. I'm 2 almost 3 years late but SFVAE is exciting. The opening cinematic was great, throws are 2 face button inputs, and Chun Li having charge moves was a shocker. It's feeling good so far. Not surprising that it was Brad and Eliot. Pretty much got DOA5's entire roster back. Feels like BB, GG, and UNIEST's communities are significantly larger and more active than DOA's. They seem to always have something going on. Of course. There's lot more milestones to those types of games. 2D fighters overall are generally far more popular than 3D (exception of Tekken but that's a different story with added addition for overrated). DOA somewhat is a niche series with bits of anime tropes no matter how one looks at it or avoids the thought completely. No surprise on other communities being bigger while being anime and 2D at heart. I mean, could also really depend on longevity with communities and support for their games. Under Night In-Birth at times have lower amount of players at events or online portions than DOA, but can be massively active elsewhere. Whereas DBFZ is massive everywhere from the community forums, Discord, and DB anime regular anime forums having DBFZ fighting game topics. Looks like SFVAE is going free to play for a limited time. Now I can test it out before buying it. The only thing that seems like a hassle is unlocking characters. Seems tedious. Super excited for Samurai Showdown. Nakoruru originated from that game and KOF is a mash up of different games? Maybe the team titles actually has some meaning behind them. New KOF soon so hopefully the graphics get a major upgrade.